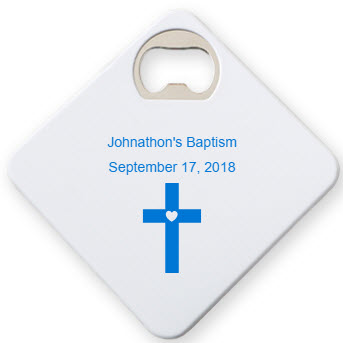 Adults will appreciate how much thought that you put into these custom coaster baptism favors. They double as a bottle opener and offer functionality that most give-aways don't. 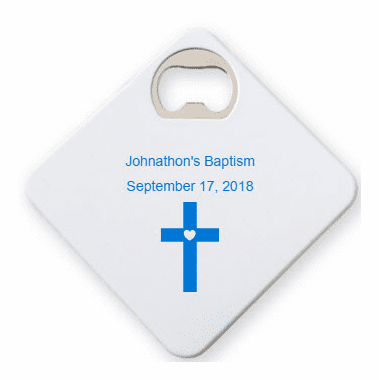 Add a religious icon and personalized message on the front of the hard white plastic coaster. The back simply has black felt to prevent slippage. Sturdy, yet light-weight, each coaster measures 3 1/4" x 3 1/4."